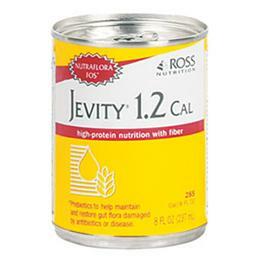 Jevity 1.2 Cal is a high-protein, fiber-fortified formula that provides Complete, Balanced Nutrition for long- or short-term tube feeding. Fit for use as supplemental or sole-source nutrition, it may be used for oral feeding of patients with altered taste perception. Concentrated calories and high protein helps tube-fed patients gain and maintain healthy weight. 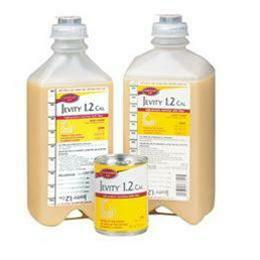 -Includes 1.9 g of scFOS/8 fl oz (8 g/L and 12 g/1500 mL). scFOS are prebiotics that stimulate the growth of beneficial bacteria in the colon. This product is not for parenteral use.